If you are a small business or payroll administrator for a small company, you understand having accurate paychecks for employees is essential. One simple mistake can throw off an entire paycheck and leave disgruntle employees in an awkward situation. 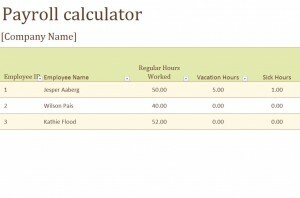 The main way around this is to make sure you have something reliable to use like a Payroll Calculator template. This payroll calculator will make it easy to input employee’s information and readily access it. The formulas are already set up for you. As a free calculator you get so much. 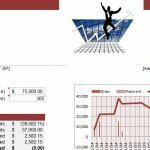 All you have to do is download it from this site and customize it in Excel to your specifications. You will start off in the Employee Information tab. First, input the company’s name in the Company Name field. Now you can start listing the employee information starting with their ID #’s, Name, how much they make per hour, Tax Exempt Status, Federal Allowance, and so on. The Federal Allowance can be pulled from the W2 they completed. The Total Tax Withheld will auto calculate from the preceding field and so will the Total Regular Deductions. You may press Tab to advance to the next line and add additional employees. Once complete, continue to the Payroll Calculator tab. Notice how the Company Name and Employee Name have carried over from the Employee Information tab. 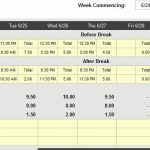 Input the payroll period ending date in cell K2. This tab is regarding the employees hours worked and used such as sick time as well as their overtime pay. Their Gross Pay and Taxes are carried over from the first tab. The Net Pay is auto calculated. The last sheet is the employees Individual Paystubs. It contains all of the information in an easy to read format. You can print four of these on a standard size sheet of paper. One thing you will notice quickly is the columns are present to auto filter. To customize the calculator to match your company’s business correspondence you are able to change the font, size, and color. The background color on the calculator can be adjusted as well. 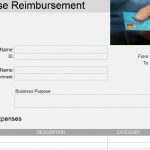 The Payroll Calculator template found here will certainly simplify a small businesses payroll and recording keeping operations.